The paddlers: me, Boyce Greer, Greg Hanlon, Scott Murray, Jonathan Baker, and Isaac Levinson. Animal sightings: 5 moose, 1 beaver, a few loons, ducks, wolf tracks, and what was probably a porcupine, but may have been a bear cub. To summarize briefly, God shat on us for five days straight. 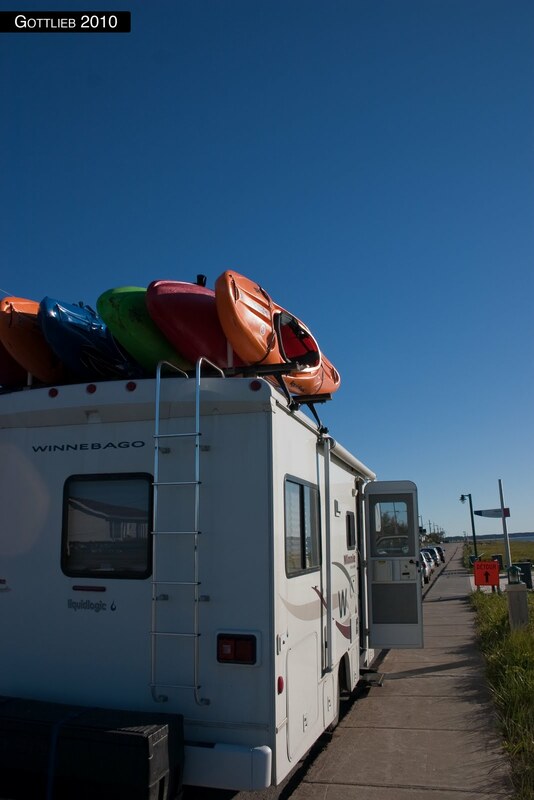 It rained every day, and we had a headwind for just about 90 of the ~95 miles of flatwater. And then on the brutal two mile hike out with loaded boats…it was as sunny as can be. But damn, what an incredible river. About 20 huge named rapids, and countless class III/IV “boogie water” with holes the size of the Winnebago we drove up in. Boyce’s Winnebago. Great way to travel. We met at Greg’s house in Lyme, NH around noon on Saturday, piled into the Winnebago, and drove 16 hours straight to Havre Saint Pierre, Quebec. After a brief border crossing hassle where the US border patrol somehow decided to pull us over before we even got to the Canadians, and then the Canadians decided they needed to question Jonathan, we made it into Canada. Driving late at night on Highway 138 up the northern edge of the Saint Lawrence, I was passed by a truck doing at least a hundred. A few hours later, around dawn, Scott was driving and passed a wreck…we went back to make sure everyone was ok and are pretty damn sure it was the same guy. He seemed alright, though, beyond being completely hammered and having a totaled truck, so we left him for the authorities. Rallying into Havre Saint Pierre around 6:30am, we headed first to the cache, the point on Highway 138 — with no river in sight — where Boyce claimed we’d be taking out (6 days later) to drop beers, then headed to the traditional (now that Boyce and Greg have done the river three times) breakfast place, Le Promenade. 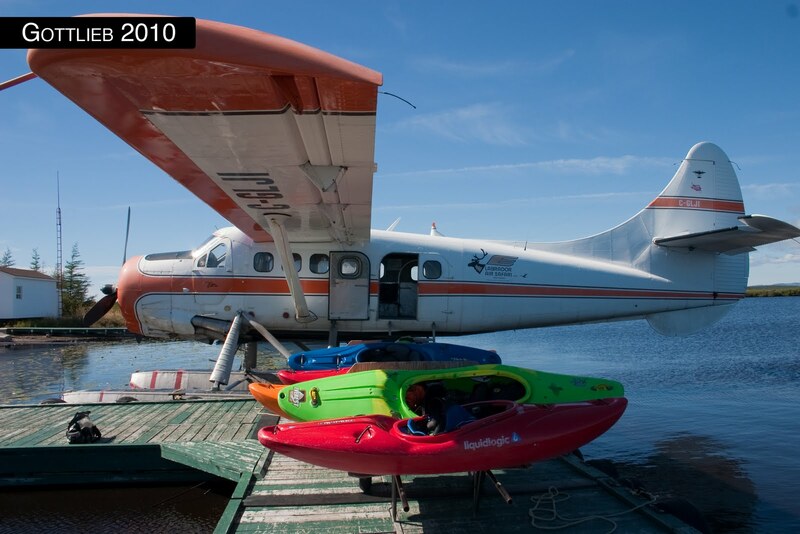 Then we went to the float plane base and after packing up, we loaded boats onto the Otter. The otter, and our boats. 3 Grandes, 2 Jefes, and an Everest. Thanks, Liquid Logic (and Pyranha). Two of us went in the otter with the other four in a beaver following shortly after. 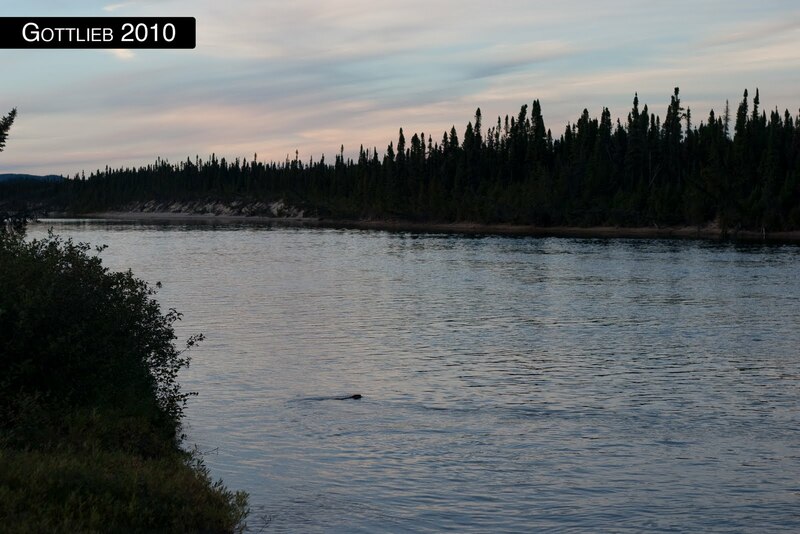 Then we saw a beaver at camp (a big sandbar in the middle of the river). We cooked dinner and lit a fire in what was to be our last sunlight for the next four days. The sunset with Scott’s boat and tent in the foreground. Read on to hear about day 2.